​Key Features: Interesting deciduous conifer; vibrant feathery foliage, colourful autumn display, attractive bark, excellent performer in range of sites. Supplied: In a 5 litre container of peat-free compost, healthy and well established, approximately 50-70cm (2 feet) high, with full planting and aftercare instructions. Conifers often get a hard time in the garden related press or at the very least seem to go in and out of fashion with ease. Take a walk through any pineatum however and you'll soon see that looking beyond the generic evergreen dome shaped conifers and there is a world of splendor. 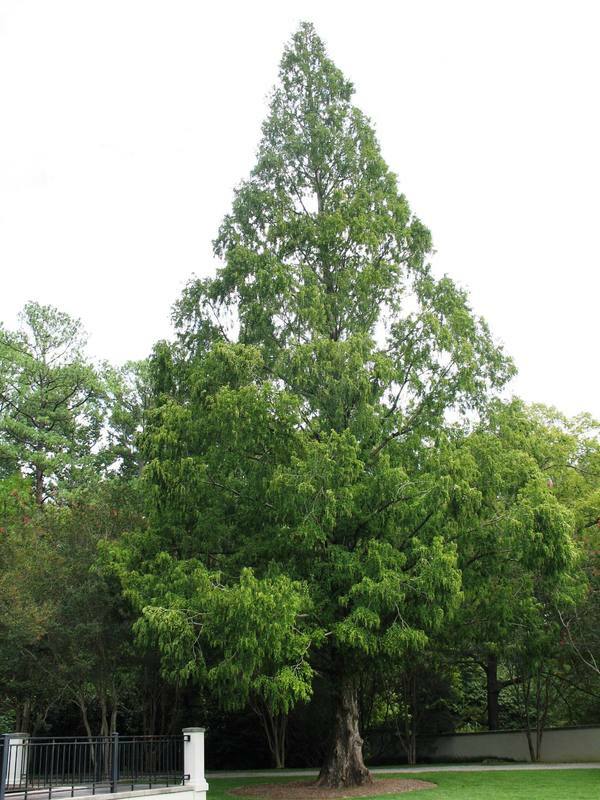 Of Chinese origin and described as a living relic of a fossil genus Metasequoia glyptostroboides is a perfect example of a conifer with much to offer. Only discovered in 1941 and listed as critically endangered in the wild. The pleasing vibrant green feathery foliage turns foxy red and salmon shades throughout autumn before falling and leaving a skeleton of elegant horizontal branches. The trunk is another fine feature, tapering beautifully into an upright conical habit, the bark itself is cinnamon brown, shaggy and spongy to touch. Although only a relatively new introduction the Dawn Redwood has proven itself to be an excellent performer in UK conditions. It is perfectly happy on any reasonable soil - particularly useful on constantly moist ground - and is fully hardy.